MEMOFIN - Investor Protection is Needed for True Capital Formation - L'information financière que vous ne trouvez nulle part ailleurs ! Last week, the House of Representatives passed H.R. 3606, the “Jumpstart Our Business Startups Act.” It is clear to me that H.R. 3606 in its current form weakens or eliminates many regulations designed to safeguard investors. 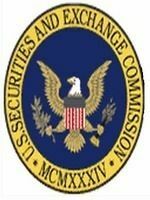 I must voice my concerns because as an SEC Commissioner, I cannot sit idly by when I see potential legislation that could harm investors. This bill seems to impose tremendous costs and potential harm on investors with little to no corresponding benefit. H.R. 3606 concerns me for two important reasons. First, the bill would seriously hurt investors by reducing transparency and investor protection and, in turn, make securities law enforcement more difficult. That is bad for ordinary Americans and bad for the American economy. Investors are the source of capital needed to create jobs and expand businesses. True capital formation and economic growth require investors to have both confidence in the capital markets and access to the information needed to make good investment decisions. Second, I share the concerns expressed by many others that the bill rests on faulty premises. 1 Supporters claim that the bill would improve capital formation in the United States by reducing the regulatory burden on capital raising. However, there is significant research to support the conclusion that disclosure requirements and other capital markets regulations enhance, rather than impede, capital formation, 2 and that regulatory compliance costs are not a principal cause of the decline in IPO activity over the past decade. 3 Moreover, nothing in the bill requires or even incentivizes issuers to use any capital that may be raised to expand their businesses or create jobs in the U.S.